Former Miss Universe 2000 Lara Dutta will grace the cover of January 2009 edition of magazine Grazia. Lara did not have any major release in 2008 even after having a box office hit Partner (2007) in 2007. She did have a special appearance in song Phir Milenge Chalte Chalte in movie Rab Ne Bana Di Jodi (RNBDJ) (2008) and voice over in animated movie Jumbo (2008). But Lara seems to have started off 2009 on the right note, first by being on the Grazia cover, which will be followed by SRK's home production Billo Barber (2009) in February, followed by Blue (2009) and then Banda Yeh Bindaas Hai (2009) later in 2009. Akshay Kumar and Aishwarya Rai Bachchan were awarded the top civilian honours, the Padma Shree, on the 60th year of the Indian republic day. The awards were given by the Government of India. 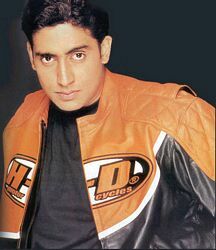 Akshay has worked hard to make a place in the film industry for himself also reward the award. He had a great 2008 with multiple box office hits, but started off 2009 with Chandni Chowk To China, Made In China, CC2C (2009) , which did not meet the expectation and did not do well at the box office. Aishwarya will have her first Hollywood film, Pink Panther 2, The Next Pink Panther, The Pink Panther Deux (2009) release in India this year. Helen, the well known item girl with many great hits was also given the Padma Shree. Sania Mirza is currently taking part in her first Grand Slam tournament this year after having to facing many injuries during 2008 season. 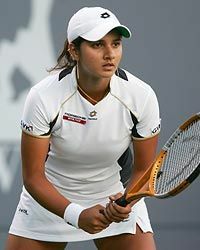 During the summer of 2008, Sania was ranked at 32 and then in the 2008 Beijing Olympic Games, she had to retire hurt during her first round match. She stared off 2009 with rank outside the top 100. She will have to work really hard this year to regain her ranking in the top 100. She started off on the right foot by beating Poland's Marta Domachowska in the first round of the Austrian Open, 6-1, 6-4. Sania will also be taking part in the doubles with her American partner Vania King and then with fellow country men Mahesh Bhupathi in mixed doubles. Neetu Chandra is being featured on the cover of January 2009 edition of Maxim India . The photos will be part of the Maxim India January 2009 edition. Jian made her Bollywood film debut in 2005 with Garam Masala in which she portrayed Sweety, an airhostess.